Professional Czech football player known for his work as a forward on the Italian club Roma. He is also known for his work as a forward on the Czech Republic national team. His youth career began with the Sparta Prague club in 2013. He then went on to make his pro debut with the club in May of 2015. 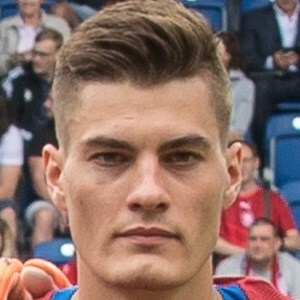 In 2016, he made his debut with the Czech Republic national team. In 2017 he was loaned to the Roma club and became part of their squad during the 2018 season. He is known for having scored the winning goal against China PR at the 2018 China Cup in March of 2018 as part of the Czech Republic team. He is known for dating Hana Behounkova and shares photos of them together through his Instagram. He played alongside Theodor Gebre Selassie and Tomas Kalas in the 2018 FIFA World Cup as part of the Czech Republic squad.